C097 - Corydoras sp. (C097) (i:18, k:8), congeners. C098 - Corydoras sp. (C098) (i:1, k:0), congeners. C099 - Corydoras sp. (C099) (i:1, k:0), congeners. C100 - Corydoras sp. (C100) (i:1, k:0), congeners. C101 - Corydoras sp. (C101) (i:3, k:2), congeners. C102 - Corydoras sp. (C102) (i:8, k:11), congeners. C103 - Corydoras sp. (C103) (i:1, k:2), congeners. C104 - Corydoras sp. (C104) (i:0, k:0), congeners. C105 - Corydoras xinguensis (i:2, k:5), congeners. C106 - Corydoras xinguensis (i:2, k:5), congeners. C107 - Corydoras xinguensis (i:2, k:5), congeners. 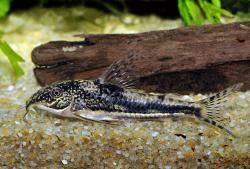 C108 - Corydoras xinguensis (i:2, k:5), congeners. C109 - Corydoras sp. (C109) (i:2, k:1), congeners. C110 - Corydoras sp. (C110) (i:1, k:0), congeners. C111 - Corydoras nijsseni (i:14, k:16), congeners. C112 - Scleromystax sp. (C112) (i:6, k:7), congeners.